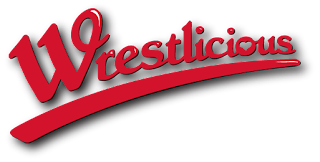 There is a new video on this proposed women's wrestling TV show Wrestlicious. Their website is up but only the trailer is there. But there is more info about the show along with some baloney. The money mark...er..owner of the show is a 19 year old lottery winner named Anthony Vargas. That's him in the video as Wrestlicious owner JV Rich. What an imaginative name. But the real guy behind this is Johnny Cafarella. He worked for GLOW and was also one of the guys behind CRUSH. Remember they shot a pilot but never sold it and kept lying about it. So anything he says has to go through my BS detector. It seems that they shot a pilot last summer. They hired wrestlers to do the wrestling and actresses to do the skits. If that seems a little disjointed to you, that's because it is. The problem is that Cafarella is married to this concept when anyone with sense knows that he should ditch the skits. They could do some comedy without the stupid characters and the skits. But wasn't GLOW successful? That was 20 years ago and their success was very limited even then. And more recently WOW had to pay stations to get on the air and when they asked the stations to pay, they were finished. So there's a rumour floating around that the Fox network is interested in the show. I don't think it's too lowbrow for Fox. Fox reality show head Mike Darnell has proven otherwise. But it's not in the best interest of the show to be on the network because they'll be under pressuire to produce ratings and they'll get cancelled if they don't deliver. The likely truth is they took the trailer to NATPE in January. Some Fox stations expressed interest. The problem is in order to get a syndicated show on the air, they have to sell it to 80% of the US markets. Some Fox stations isn't enough. Remember when Stereovision tried to revive WOW a few years ago and they made a big deal about selling the show to Clear Channel stations? Did you hear any more about that? No because they didn't sell it to enough stations to make air. That's the problem facing Wrestlicious. They have some interest from some stations and now they have to shoot a new pilot so they can sell the show to enough stations. They're still claiming they'll make air this fall. Time's a-wasting. Check out the video. If you type Wrestlicious into google, Fox.com is the first link you get. Is NEO spreading itself too thin? Was that a TNA PPV or an episode of Impact?